Never called a Kamen Rider? Re: Never called a Kamen Rider? The same thing with Gaim. They never say "Kamen Rider Gaim" You only here them say "Armored Rider" instead. But Gaim not so bad. At least they haven't abandoned "Rider" title and roles. Armored Rider aren't sound so bad plus it sounds cool to me when Zack introduced himself as "Baron's new leader Zack! Armored Rider Knuckle_` Baron no leader Zack! Amado Raida Nakuru da" ( Lols: sounds like to cry) But it still growing on me. Still Wizard blew me off when his enemies even himself until end of series never called Kamen Rider. Thus Haruto had cool outfit and looks his personalities kinda plains and sometimes shuffled over emotions.
" Subete no Decade no okage da. Arigatou DIIKEIIIDOOO!!!" Gah. I never really liked Decade. Sure him going to different worlds was cool, but to me he wasn't that cool. I dunno. Maybe it's because I never liked his Henshin? 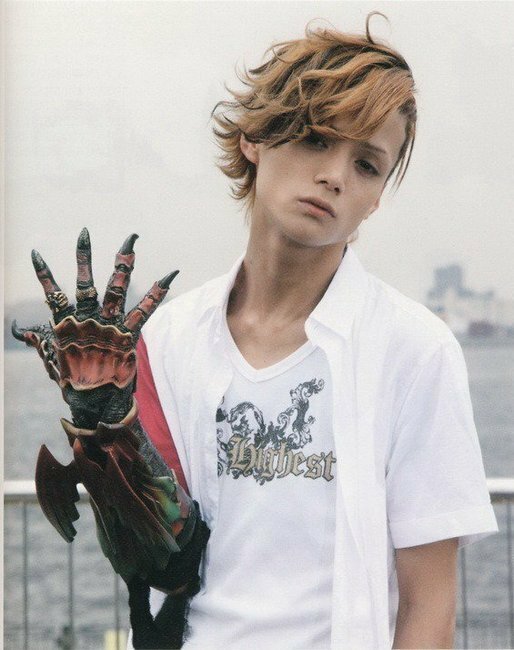 Isn't that Narutaki said this " Damn you Decade! Why are Riders so damn awesome?"